[SatNews] Ideal Systems Group has announced the launch of SoftCast Technologies, the world's first suite of downloadable solutions for broadcast television operators. The SoftCast range is a comprehensive suite of software products for operating and managing broadcast television channels. 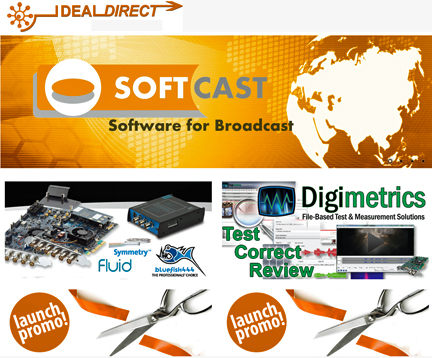 In an industry first, Ideal Systems is making the new SoftCast range of products available for broadcasters to purchase and download online through its new online store, http://www.Ideal-Direct.com/. SoftCast will be supported exclusively by Ideal Systems' broadcast engineers and growing network of offices, which currently includes locations in Hong Kong, China, Taiwan, India, Thailand, Singapore, Japan, and Malaysia. The new SoftCast range of products includes modules for channel in a box; traditional automation; hybrid automation; content ingest; content playout in HD-SDI and IP; CG graphics; media asset management; newsroom computer system; live feed edit and censorship; broadcast schedule planning (traffic); and broadcast ad sales and contract management.